Last month, mathematics lecturer Arne Smeets made a passionate plea for the granting of promotion rights to all university lecturers and associate professors. According to rector Han van Krieken's response, associate professors at Nijmegen already have sufficient opportunities to obtain the 'ius promovendi', or the right to supervise PhD candidates. Universities differ in the way they grant the right to supervise doctoral candidates, as De Jonge Akademie demonstrated last month. 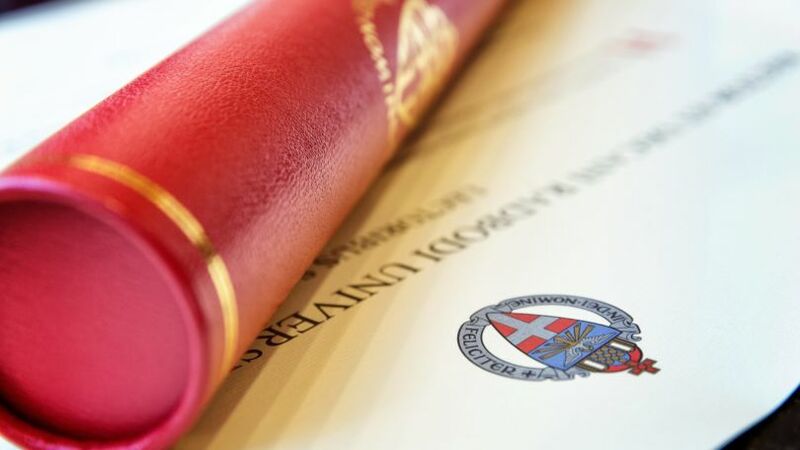 At Amsterdam University, for example, it is possible for university lecturers (UDs) to obtain the right to supervise PhD candidates, whereas at Radboud University, that right is reserved for associate professors (UHDs) only. Based on that comparison, Arne Smeets, mathematics lecturer and member of De Jonge Akademie, called on Radboud University to put a spurt on‘. According to Smeets, it would be a grand gesture to give all associate professors the ‘ius promovendi’. Since the introduction of the ‘ius promovendi’ in October 2017, 17 associate professors have been granted promotion rights. Seven of them work at Radboud university medical center and six at the Faculty of Science. Two associate professors at the Nijmegen School of Management may supervise, and one each in the Faculties of Arts and Social Sciences. I think there’s some confusion in the article, perhaps due to translation, between ius promovendi, the right to SUPERVISE a PhD, and the right to obtain a doctoral diploma oneself. You are right Monica – apologies! We changed the text.